These recipes for coating boneless, skinless chicken breasts can be just a jumping-off point for your imagination. Use the ingredients your family likes to invent your own coatings for breaded chicken recipes. Just bake as indicated, and you will have lots of quick, easy dishes everyone will love. Each recipe coats four boneless, skinless chicken breast halves. And each bakes at 400 degrees for 19-24 minutes, until the chicken breasts are thoroughly cooked and the juices run clear when pierced with a knife. You can also test with an instant-read meat thermometer: the internal temperature when done should be 160 degrees F. The temperature will rise a bit, so judge doneness according to your own tastes and the health of members of your family. You can pair these crunchy and juicy breaded chicken recipes with a simple green salad and some cooked carrots, beets, a rice pilaf, or broccoli and dinner will be on the table in less than half an hour! You can cook this breaded chicken recipe in a dual-sided indoor grill or bake it in the oven. Either way, it lives up to its name: crispy and delicious. Dry salad dressing seasons plain chicken breasts to perfection in this juicy and crunchy coating recipe. This recipe, from my book Everything No-Trans Fat Cookbook, is delicious, moist, juicy, and crisp. Dry milk powder is the secret ingredient in the coating. Mustard apple juice, garlic, and some soft bread crumbs are a fabulous complement to tender and juicy chicken breasts. Control the sodium in your cooking and make your own crispy, crunchy, and flavorful breaded chicken recipe. You can substitute onion powder and garlic powder for the onion salt and garlic salt if you'd like (use half the amount of each). 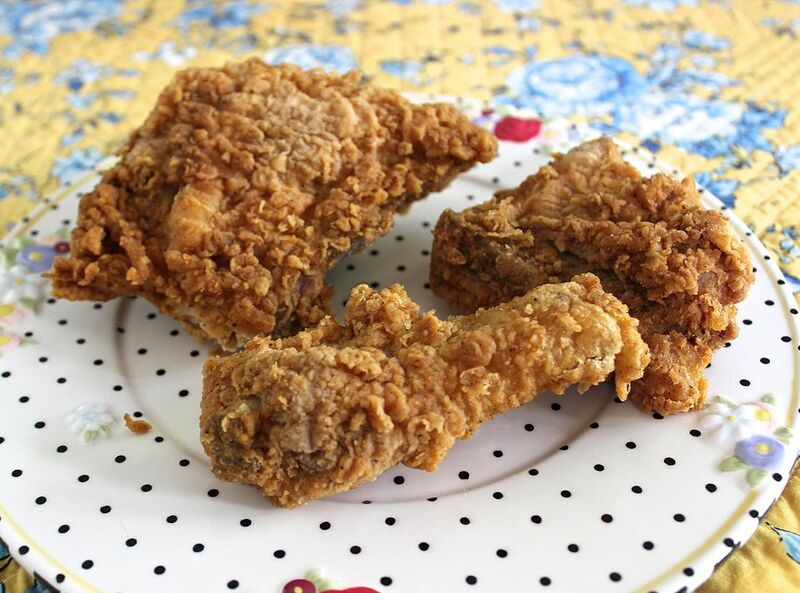 You can use any pretzel you like in this super simple breaded chicken recipe. And add more hot sauce if you like spicy food, or leave it out altogether if milder fare is your taste. For more recipes for baked chicken breasts, see Baked Chicken Breast Recipes.